Well, I found a new favorite restaurant on our recent trip to Florida! Bojangles kindly sent me some gift cards to try out a location in Orlando, so one morning on our trip we decided to stop in for breakfast. 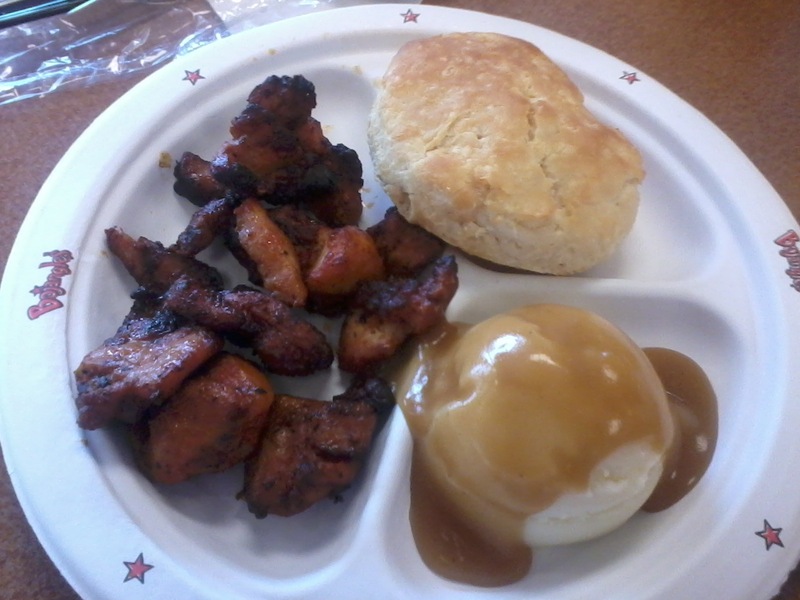 I don't remember ever eating at Bojangles before, but I am glad I finally did! Our family was a little tired of the traditional hotel breakfasts, so rather than waiting for lunch, we thought a nice breakfast at Bojangles would be good. Read this closely...it says "Making sweet tea is an art form"! When we walked into the restaurant, we were greeted by an employee, who patiently waited as we perused the menu. I'm sure we were frustrating, because it took us forever to actually order! I chose a Cajun Filet Biscuit Combo, which came with a soda and Bo-Tato Rounds, which are basically hash browns. Everyone else ordered a breakfast biscuit of some sort; I believe we tried just about every one offered! Bacon egg and cheese, sausage egg and cheese, country ham biscuit, and a steak biscuit. Of course to wash down all this southern food you need just one thing-sweet tea! Thankfully Bojangles offers their legendary sweet tea by the half gallon, so we didn't need to purchase a drink for each individual. Everyone else really seemed to enjoy their breakfast as well. I was informed that the country ham biscuit was a little on the dry side, but I am sure this is something that could have been adjusted if we actually ate at the restaurant. 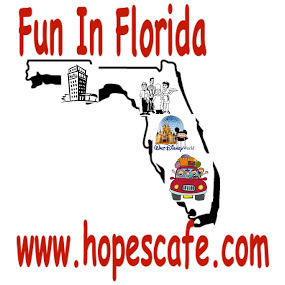 Because we were headed to northern Florida that day though, we just got the food to go. I heard plenty of good comments about the food though, and a couple "I can't finish this biscuit". When you eat at Bojangles, you don't need to worry about getting enough food! I had some money left over on the gift card, so when we ran into another Bojangles on our trip around lunch time, C and I decided to try out their lunch menu. We ordered from the $5.00 Box menu, and this is a deal that can't be beat! You can choose from a variety of chicken; I ordered the Roasted Chicken Bites, and C chose the Grilled Chicken Sandwich. These also come with 1 Fixin' each, a biscuit, and a free sweet tea! I had mashed potatoes with my chicken, and C had the Macaroni n' Cheese. This was honestly one of the best chicken meals I have ever tasted, and the best part is it only cost $5.00 for the entire meal! I don't know of any other restaurants that offer a meal with entree, side, bread and drink for just $5.00! The Roasted Chicken Bites are just wonderful, with a yummy seasoning. I also finished off the meal with a Cinnamon Pecan Twist-if you ever eat at Bojangles, be sure to try one of these-we're talking pastry heaven! I will certainly be watching for Bojangles on any future trips down south. One of my readers will receive a $10.00 Bojangles Gift Card!! My favorite item is their Cajun Filet Biscuit. We eat there often and my favorite item is the dirty rice. The Cajun Fillet Biscuit looks amazing!! The salads look big and filling, too. My favorite thing to get is their country ham and egg biscuit. OH my goodness they are so good! I like their bone in fried chicken breast and the mac n cheese! The sweet tea is YUMMY, too!!! I love ALL of their biscuits, ALL of their fixin's, and am obsessed with their sweet tea! I havent been to Bojangles since this past summer and have been craving it ever since!! Their biscuits are out of this world! And I can't even explain the gravy! Southern folks really know how to eat! Sauage Biscuit 2 for $2.29, 1 for breakfast and the other for lunch...can't beat that!!! Love the biscuits. They are the best around. Supremes dinner is the best! Cajun Filet biscuit sounds perfect. I usually go for the cajun filet biscuit combo with fries & tea, but sometimes i go for the 2pc dinner with fries and macaroni & cheese and a sweet tea. we eat there often. like the seasoning on the chicken. I always get the Chicken Supremes =] and of course the fries are delicious as well. I love their sweet tea!! But also love the Chicken Supremes! Chicken wings R the best! I love their sausage biscuits and the chicken biscuit! The sweet tea is great too!!! I'd like to try the Egg and Cheese Biscuit. My favorite thing is the Seasoned Fries and sweet tea. I'd like to try the bacon, egg and cheese biscuit combo.